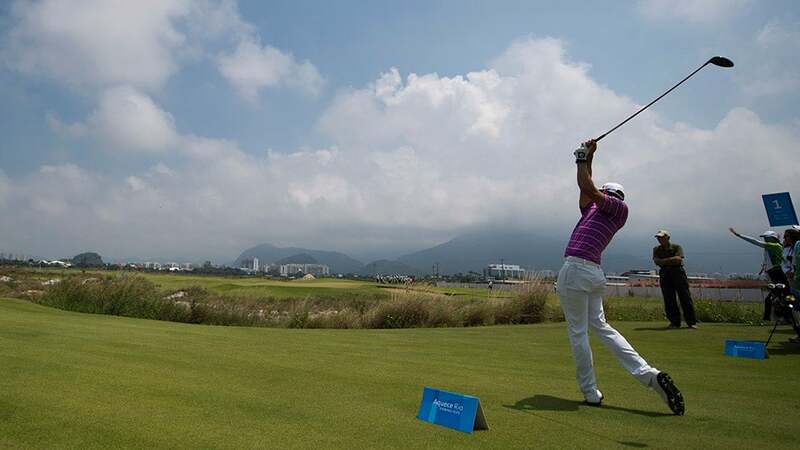 A Brazilian golf player takes part in a test event tournament for the upcoming Rio 2016 Olympic Games at the Olympic Golf Course in Rio de Janeiro, Brazil, on March 8, 2016. Attention, Olympic golf hopefuls: WADA is watching you. Beginning Friday, the World Anti-Doping Agency is employing an app to track the whereabouts of every qualified Olympic golfer so that officials can perform random drug tests on the golfers leading up to the Games, according to a report by Golf Channel's Rex Hoggard. To more easily monitor the location of the 120 men and women who are currently qualified, WADA mandates that the players regularly update their whereabouts on a smartphone app using the "ADAMS" system. The tracking system notifies players when they have been non-compliant. Failure to update whereabouts three times will be treated as an anti-doping violation. While similar, there are two main differences between the existing PGA Tour anti-doping program and the Olympic testing pool: blood tests and out-of-competition testing, including whereabouts requirements. When players are not in competition, they will be required to provide up-to-date information on where they spend nights on the road, as well as where they will be for one-hour each day. Andy Levinson, executive director of policy administration for the PGA Tour, told Golf Channel that both the men and women have been educated about the process and all have either completed or are in the process of completing the whereabouts requirements. A player in competition does not need to check-in as they are assumed to be in compliance with the PGA Tour's policy; but if a player withdraws or misses the cut, they are then on the hook to update their information accordingly.